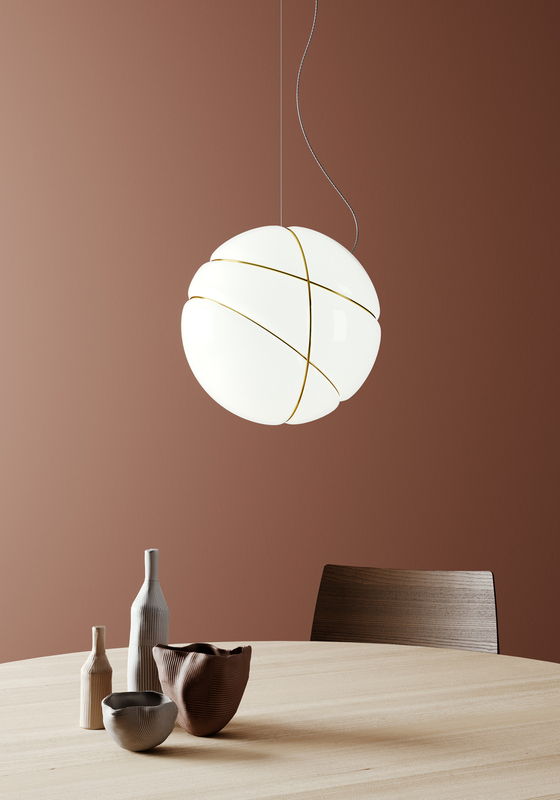 Armilla, designed by Lorenzo Truant, is inspired by the very first Renaissance depictions of the motions of stars and planets. At that time, it was customary for people to construct marvellous models called armillary spheres comprising a framework of rings. To begin with, they were centred on Earth, but as time went by and the theories of Copernicus entered the picture, it was replaced with the Sun, an infinite source of light and the new centre of the universe. 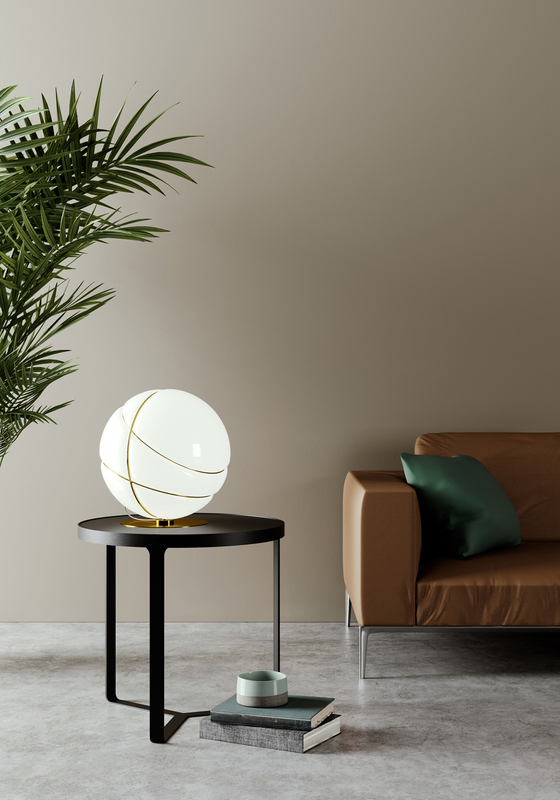 The rings of Armilla recall this custom, supporting the sphere and complementing the abundance of opal glass that diffuses light from the source at the centre of the composition—just like the armillary spheres dreamt up by the Copernican cosmographers, with their heliocentric view of the world. Examining Armilla in more detail, three rings of precious metal are cleverly fixed together and contain the diffuser, which—thanks to a ring fixed to the equator—is attached to the support cable, which also made of metal.